I cuss. A lot. But never have I dared to cuss at a person in a customer service role. And I get rather upset about lousy customer service and still manage to talk nicely to people about any issues I encounter. Some people cuss, and yell and make threats when they are angry about customer service. This is not okay. You have to draw the line on unacceptable behavior with customers, just as I hope you do in your interpersonal relationships when people disrespect you. You get the behavior you tolerate. So, don’t tolerate profane language. Diplomatic comebacks to cussing set you up as professional and assertive, and they help you get the respect you deserve. Here are seven comebacks for the customer who cusses at you. These responses are professional and will get the job done. Let the customer vent for a few seconds (5-10) before you jump in. After feeling heard, many customers are easier to deal with. Here are the seven comebacks placed in a one-minute video that you can share. These seven comebacks are from my How to Handle Difficult Customers eLearning course. This course focuses on de-escalation and putting you in control of the interaction. The outcome of this course is frontline customer service professionals who are prepared to create calm, find resolutions that balance the interests of the customer and the company, how to reduce escalations, and how to create a positive conversation with challenging customers. 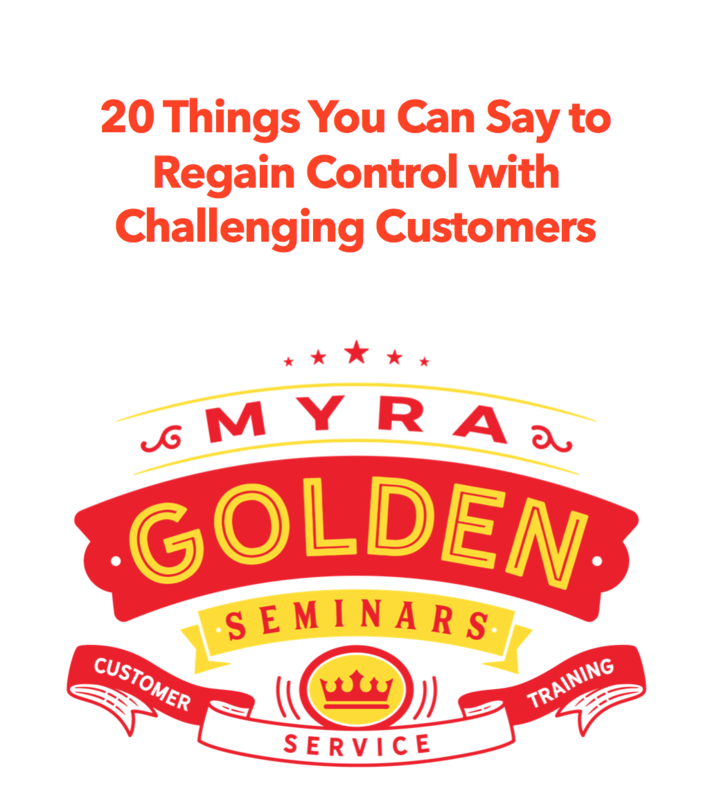 If you could use some help with dealing with challenging customers, consider this course offered in my online training suite.